Over the years, as a Virginia plaintiff's attorney, I've had the opportunity to work with many many doctors to help pursue my clients' injury claims. One thing I've noticed is that many of the doctors tell me how difficult it is working with plaintiff's attorneys. They don't want to be involved in litigation because they don't want to be dragged down. Sometimes, doctors are just confused about the process. Remember that litigation is also very stressful for your patient. If your patient's attorney is reaching out to you to pursue an insurance claim, keep in mind that the patient has already been put through the ringer by their insurance carrier. In many claims, the insurance company won’t agree on a settlement or pay a claim. You would think that insurance companies would be fair, but in reality, they avoid payment whenever possible. If we could trust insurance companies to be fair, we wouldn’t need attorneys. 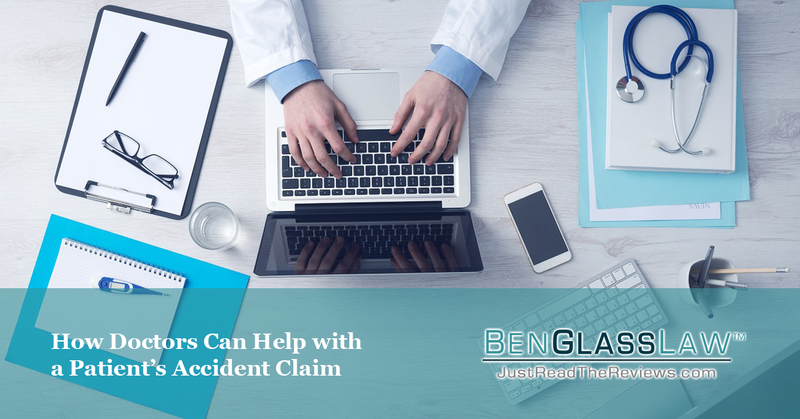 By the time that the patient or the attorney is asking for your help with the claim, your patient has already gone through a lot of litigation. This includes filling out detailed forms and providing very sensitive documents about their medical history. Your patient has been through intensive depositions, during which the defense attorneys delve through their medical past to discredit their claim. Your help with their insurance claim is in many ways an extension of the treatment of the patient. Unfortunately, what flows from a car accident is not only the physical injury and recovery but also the emotional toll the insurance companies will expand upon the plaintiff. Good plaintiff's attorneys are easy to get along with. You might have encountered some annoying, rude, or downright dishonest attorneys. While this does represent a small number of attorneys, most attorneys are above board and simply want to help their clients. Good attorneys are easy to talk to and empathetic. As I tell my clients, my case rests upon the doctors who are my key witnesses. When we ask for your opinions, you can feel free to be honest. Most plaintiff’s attorneys and patients are simply trying to get to the truth. Don't be intimidated by legal language. Attorneys are not good at using plain language. They are trained to use legalese. As a doctor, I'm sure that you can relate to using terms of your profession that are not easily understood. However, often legalese breaks down into very simple concepts. When an attorney asks you something that's not quite clear, remember that it's likely the attorney's fault and not yours. Just ask for clarification! Most attorneys will be happy to explain what they mean. Remember to speak plainly with the attorneys as well, because you and the attorney will be presenting very complex scientific evidence to a jury. Everybody would be helped by using plain language. Depositions and trial are not as complicated as they seem. Trials and depositions can be stressful. However, as my dad always told me when he would testify, all you need to do is know your case. You're going to know the case better than anybody in the room. If there's an issue, it's likely because the plaintiff's attorney has not properly prepared you. The patient's attorney will prepare you and if you're not sure, simply ask him or her a question. Again, if you know your case, even the best defense attorneys will have no leg to stand on. Just be honest and things will be fine. It's not as time-consuming as it may seem. Helping a plaintiff or a patient with a personal injury claim can be quick experience. Most plaintiff's attorneys will prepare documents for you to review and approve to be filed with the court. When they prepare you for deposition or trial, these meetings are not typically very long unless it's a very complicated case. Depositions are typically shorter than you would imagine, depending on the complexity of the case. If you allow your plaintiff's attorney to prepare, he or she will be able to hone in on what's important and make your time more efficient. If you go to court, you may have to wait to testify. Most courthouses allow you to bring work with you. Most plaintiff's attorneys are willing to pay you for the time, and you should demand that. At the very least, you will be learning a new experience. If you've made it through medical school, it's obvious that you're somebody that has high curiosity, and the legal process is certainly very interesting. Are you a doctor and you have more questions about helping a patient in a car accident claim? Feel free to reach out. BenGlassLaw provides an educational outlet for the community. We're willing to talk to anyone so long as it's not a conflict of interest. If you have any general questions about the legal process and how it affects your case, feel free to reach out. Call us at (703) 584-7277.